Similarly to April, this put a big dent on our customer service numbers. We feel that the dent is worth the great brainstorming and bonding that occurs when we’re all in the same place (and thus the same timezone), having meetings and taking the same days off. However, we look forward to getting back on track for October. More on that below. In addition to answering hundreds of emails and tweets and dozens of live chats each week, every Happiness Hero has several other responsibilities. Each hero plays a huge role in a product area, as well as a customer service focus. One of the key points in the book is that the people who are closest to the challenges should be the ones making the decisions on how to solve them. No one is closer to the questions and wishes of our customers than the ones who speak with them all day long. The Happiness Heroes are a wealth of knowledge about how to best serve our customers, so they should be the ones advising on how we go about doing that. This is one example of something small that we didn’t know was so important until we started tracking how often it was coming up. 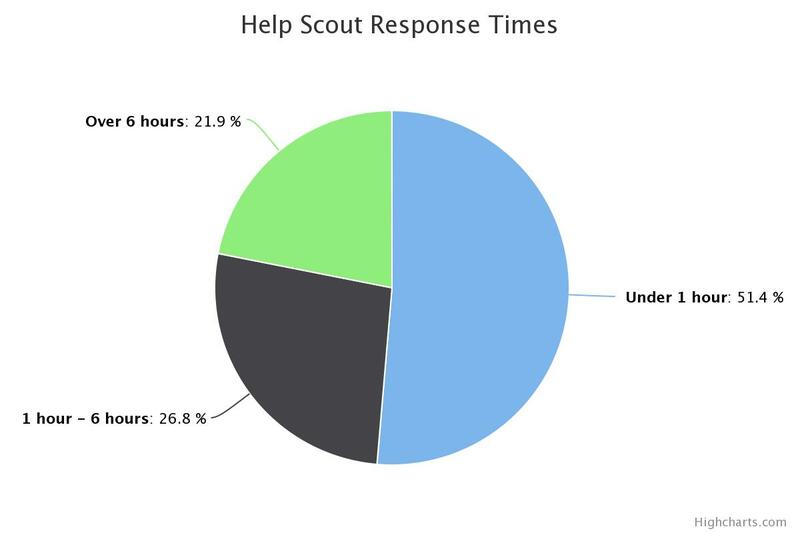 Lots of emails, many tweets, and 79 votes on the idea on Uservoice helped us prioritize this one! 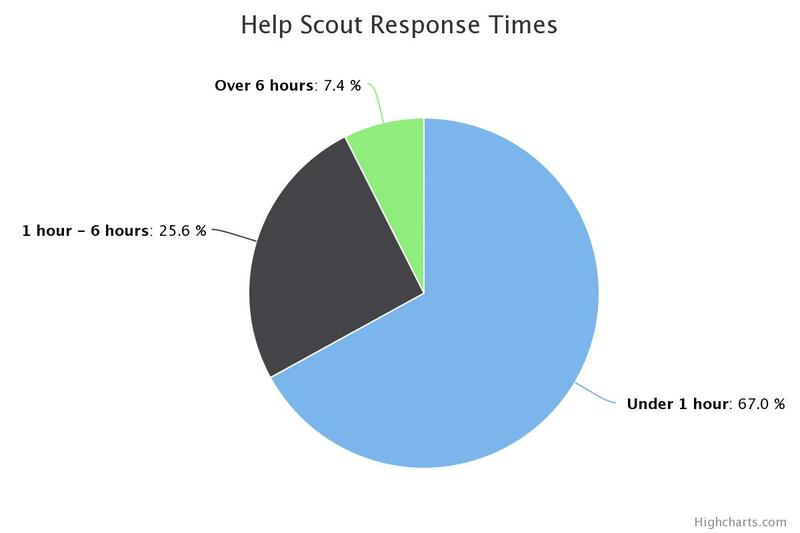 This wouldn’t be possible without our customers, who take the time to share their ideas; our Heroes, who listen, reply, and keep tabs on all of the requests; and our engineers, who strive every day to make customers happy. This process worked over and over, and so we realized that the Heroes should have an even bigger voice as the product team split into many teams and took on new shapes. While Buffer seems like only one product, it has many points of access. We have the web version of Buffer, each mobile app (iOS and Android), and the browser extension, etc. Each of those areas has a “product team” focusing on it. This is a new setup for us. We’ve gone from having one “product team” to having many little product teams. This allows us to be a bit more nimble, and it ensures that each area is in focus. Additionally, each team has a Hero either on the team or as an advisor to share customer suggestions, prioritize bugs, and report progress back to the rest of the Happiness Team. I’ll use the iOS team as an example. Our iOS developer, Andy, does all of the development work for the iPhone app, Daily by Buffer, Buffer for Mac, and the iPad app that’s in development. He works closely with Brian (Product Manager and Designer) on many of the decisions and design elements. However, he obviously can’t spend his whole day doing that, so in addition, he leans heavily on Dave to help him get a comprehensive picture of the whole iOS customer experience. Here’s where the customer voice comes in: Dave tallies the requests and comments from Uservoice, emails and tweets, and makes sure Andy is up to speed. And Leo jumps on calls with customers to further understand certain big questions. All of that work allows Andy to feel confident in what he builds, and perhaps more importantly, what he chooses not to focus on. And it means that we are closer to building what our customers want and need. In addition to having a razor focus on each area of the product, our Heroes also divide up to put the microscope on each customer service channel. In teams of two, they set monthly goals, innovate on how to reach them, and work to improve the overall support experience. The other person on the team focuses on the overall experience of the channel. They speak with other companies who have great customer service to get ideas, read about ways to improve SaaS online communication, and work with Colin, our Senior Developer, who implements any of the changes. An example of a change that came from this setup and was implemented by Colin is the new “Tweet to us” option in the Help Menu in the dashboard. 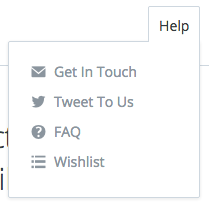 We (statistically) give faster service on Twitter than email, so we want to make that option more accessible. This setup of one person focusing on goals and one person focusing on the experience allows both of them to be the decision makers in their respective areas, and still have a close buddy for advice. The great news is that being all together in New York was absolutely amazing. We had so much fun working together, brainstorming product changes and ways we can improve the customer experience, exploring the city, taking selfies, and generally celebrating being together. There are some incredible benefits to being all together, and we capitalized on it as much as possible. We got to have an all-hands meetings (which normally we don’t do), and even discussed some of our key challenges with Hiten, an amazing Buffer advisor who was generous enough to make the trip. We haven’t figured out a solution for this. (Does your distributed team travel to work together at least once per year? I’d love to talk to you!) During the two-week period of Buffer Retreat, the “High Priority” tickets often had to wait for many hours, desperate questions went unanswered, and we generally didn’t give our community a great experience. If you are a customer who suffered during that time, thanks so much for hanging in there with us. We’ll have our hearts and minds on this one leading up to February. The team approach is intriguing and I’m looking forward to seeing you address the pros, cons and challenges as you put it into practice. I’m curious how you will maintain consistency in the Buffer experience across platforms. For instance, in the example of adding a picture to a saved post, I would imagine that the different platform teams need to be aware of this change and possibly make changes to their product. But, how do you make sure that the key people are looped in without overwhelming everyone with every detail of what happens within the company? Hi Erin! I always enjoy hearing your thoughtful questions. :) They are so helpful for clarifying what challenges we are (or should be!) addressing. Here at MailTrack.io, we’re at this very special transition moment: we used to be four people doing everything we could. We’re eight people now, and we often have to coordinate remote work among people traveling to different countries. 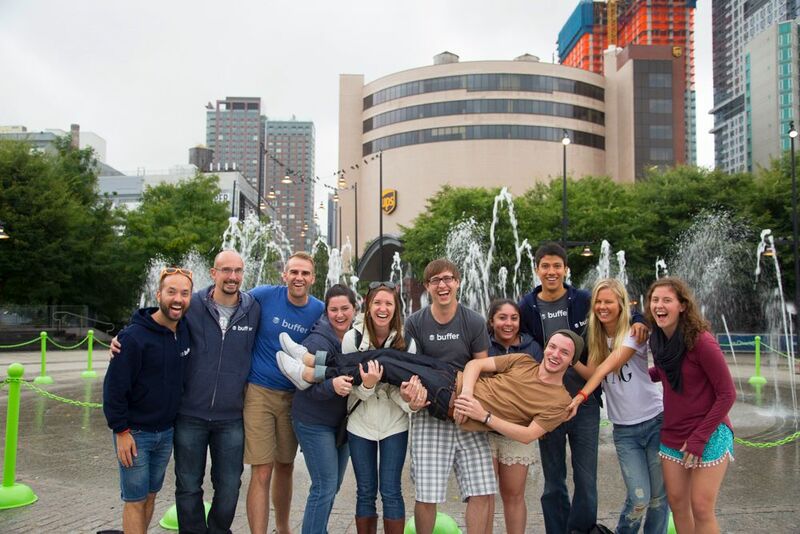 We’re always inspired by your experience at Buffer, and I’d like to personally thank you for that! Love the transparency at Buffer! You guys really have your community at the heart of what you’re doing and it’s amazing to see. My org is also trying to figure out what a 21C structure looks like for us, and de-centralizing decision making is a big one, and one that we hope will make us more efficient and less likely to work in silos. Would love to hear more about this distributed system- and second @eccoyle below in wondering how you make sure key people are looped in? Are they consulted to see if decisions made in one area will reverberate into their workflow?